Modern industry offers consumers not only air mattresses, but also inflatable bed. They bring people comfort and convenience. Because they are mobile, compact and very easy to store. To inflatable mattress served you long, inflate correctly and stuvite it. 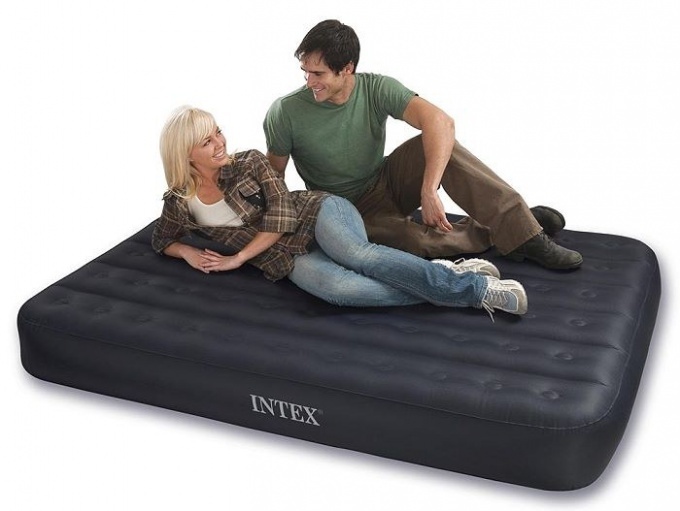 Because inflatable mattress – the thing is big enough to inflate it using the pump. Use special pump. Sometimes producers complement the mattress in such a device. If it is not set, use a low-pressure pump. They can be manual, foot or electric. Electric pump inflated the mattress very quickly. But you have to very closely monitor the process of inflating. There is a danger of damaging the mattress. Do not use compressors, motor pumps. In any case, do not use a Hairdryer! Hot air damages the material of the mattress. Inflate the product to the straightening of the folds. Touch the mattress – it should become quite elastic. Inflating the mattress can be stronger or weaker. It depends on your sense of comfort. Ideal to inflate it ¾ full. Pumping to the limit can cause damage to joints, even if they seem very sturdy. Repair of the mattress is possible in home conditions, but better to him not to bring. If the product is a long time in the sun or it is used by more than one person, to give him better by less than¾. Inflated the mattress require periodic pump. The deflation of an inflatable mattress is also an important process. Fortunately, most mattresses have a fairly large special valves. The air goes through them pretty quickly. Open the valve and release air from the mattress gradually. The air came out fully, press down lightly on the surface. But don't try too hard! You may damage the seams. If the mattress you have to blow away very fast, use the pump. Inflatable furniture helps people at home, at the cottage, camping, on the water and in many other situations. Well, when a built-in pump for the inflatable mattress. In his absence in the home, you can use an alternative method. But in nature it is almost impossible to do. Try to inflate the mattress by mouth if the pump for the inflatable mattress is missing, and you - a man of athletic build. What to do to someone who keeps their light for other purposes? Yes it is unsafe, because the blood vessels in the eyes may burst from the strain. You a hemorrhoid need? Take care of yourself! Try to pump up the inflatable mattress for sleeping with a vacuum cleaner, for example, the Rainbow. 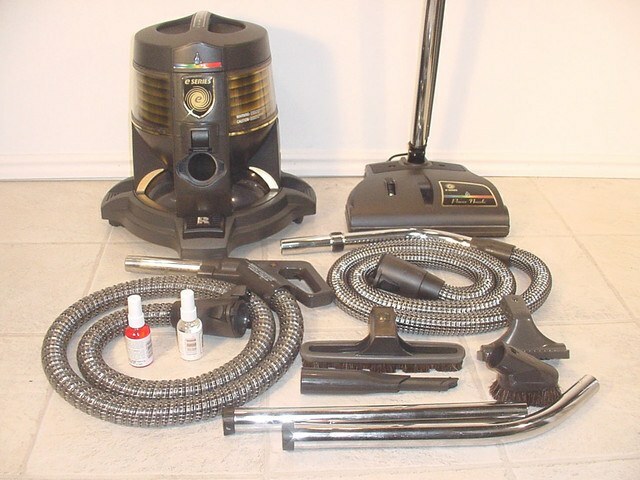 Having a lot of suction power, this home helper can not only clean your home. Before home master whitewashed walls with the help of special nozzles the cleaner "holiday home", "Whirlwind", etc. And today you can use a vacuum cleaner as a compressor. Balls, inflatable sleeping mattress, balls, rubber toys that can be inflated with the help of special nozzles of the Rainbow instead of the pump for the inflatable mattress. Attach a thin nozzle to the outlet of the cleaner. In a few minutes you will have a well-inflated air mattress to sleep on, inflatable toys or balls. Inflate the mattress based on the number and weight of wanting to be on it. If the weight is small, you can pump up the mattress harder. When a large weight people considerable effort, do not apply. Never inflate the mattress as much. Healthy sleep, a comfortable stay you will get if you pumped up the inflatable mattress sleeping about 80-85%. Adjust the degree of stiffness of the inflatable mattress to sleep while it is inflating. As soon as the mattress will become elastic to the touch and it will disappear folds, stop inflating it. Don't forget that it will be correct to inflate no more than ¾ of the mattress. Otherwise not to avoid breaking even the strongest of seams. 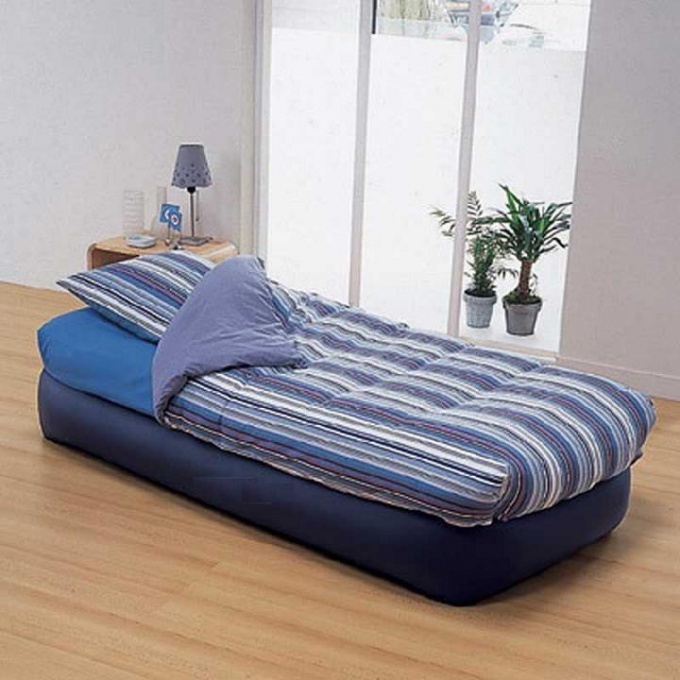 But if mattress inflatable sleeping plan to use 2 people to inflate it less than ¾ of the volume. The same amount is filled and during its long stay in the sun. Because the heated inside of the mattress , the air expands, and will exert a strong pressure on the basis of the mattress. Take care of the inflated mattress from biting objects and from the four-legged friends with sharp claws. Don't get up on his feet and not lean on one knee. Gently inflate and stuvite the mattress, using one of the low-pressure pump – electric, manual or pedal. And then he will help you out in the right moment substituting their "velvety shoulder." Do not use for inflating the inflatable mattress sleeping high-pressure pump or motor compressor. Otherwise, the mattress may just burst. Eliminate the use of dryer with hot air. It is difficult to overestimate such a convenient thing as an inflatable mattress. 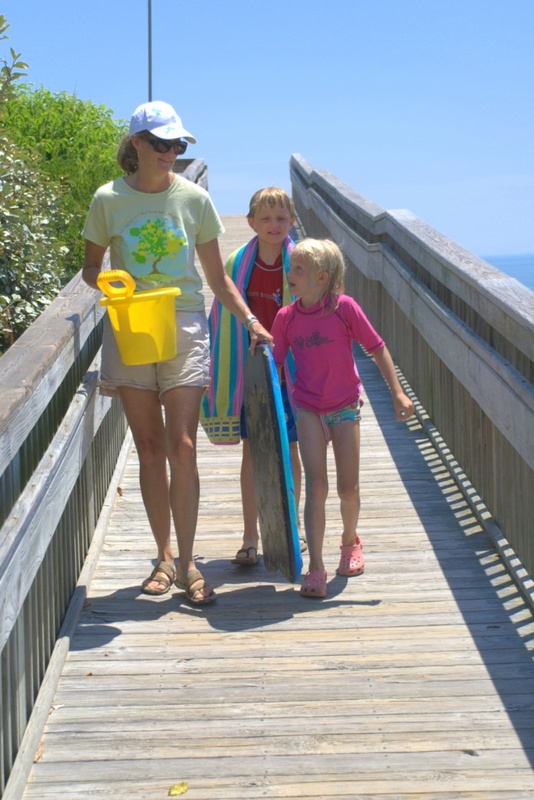 This camping and at the beach during summer, and the way out, when they come here numerous relatives, and also just the thing for small apartments. Well, to this mattress served for a long time without any problems, you just have to follow some rules when inflating. Try to buy an electric pump of the same brand as the mattress. This is a very convenient option as it allows how to pump up the mattress, and deflate in a matter of minutes. The kit often includes nozzle adaptors suitable for all inflatable products of the same brand. Never grab the mattress, that is do not fill it to the wood-elastic state. In the presence of a built-in electric pump before operation relieve a little pressure. Before shutting down make sure that the filling of the mattressand the air over. If the mattress has no built-in, then inflate it an extra pump or supplied with and powered from the mains and footswitch, electric, working even from a car "cigarette lighter" pump or, in extreme cases, Cycling. Always monitor the degree of pumping the mattressfeels. The more weight the person who will be sleeping on it, the less you inflate your mattress. For optimal use fill it with air only at 80-85%. To prevent tearing, do not use for inflating car air compressor or some other high pressure pump. Before you put the mattress on the floor or in the tent to pump it, make sure the surface was smooth and lacked any sharp objects. In any case, don't pick a mattress near open flame or very close to the heater. Inflate the mattress until it will not disappear folds, and it will not become elastic to the touch. Pumping is fraught with the fact that a valve will always come out as the valve is equipped with a control function. In any case, the inflatable mattressyou need to pump periodically. Do not stand on the mattress and lean on him only with one foot or knee and not jump on it because of the uneven distribution of pressure can cause damage of its internal walls.